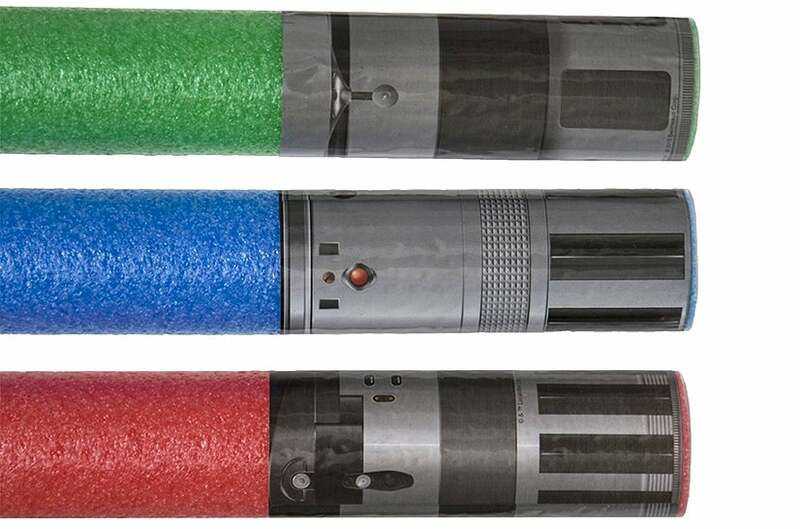 Has It Really Taken This Long For Lightsaber Pool Noodles To Exist? 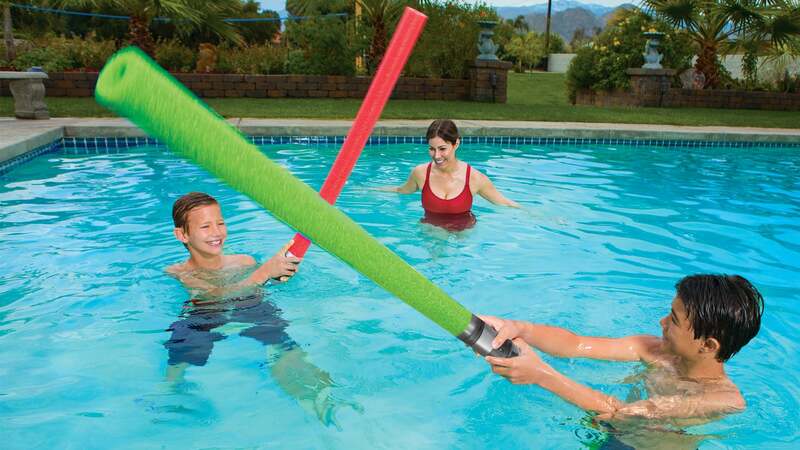 You're supposed to use them for lazily floating around a pool on a hot summer's day, but in no time at all those long foam noodles quickly become a sword you can safely swing around like a samurai, ninja and now a Jedi, thanks to Swim Ways. 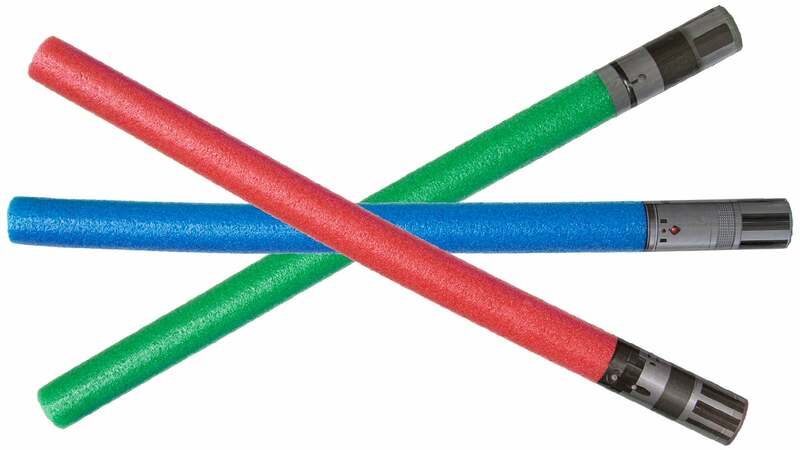 These Star Wars Noodle Lightsabers are nothing more than long tubes of hollow foam with graphics wrapped around one end, but that's all a Star Wars fan really needs to shell out $US20 ($26) for a three-pack. The set includes a Vader, Luke and Yoda saber — all impossibly out of scale — but the main selling point here is that you can whack someone upside the head with one without causing any serious damage — except to their ego.